You are currently browsing the category archive for the ‘Time Has A Way’ category. Fun Stuff about K Spirito – Chapter 18 – Happy Birthday to Our Dear Friend Debra Lawless! For the next week my Blog will be brief. A simple greeting to special friends and family members. You never know whose picture might come up! Today is the birthday of a dear friend, Debra Lawless. Debra is the author of CHATHAM in the JAZZ AGE. Debra is a reporter for The Cape Cod Chronicle and she investigates five prominent residents of Chatham, MA (Cape Cod) and reveals their contribution to putting Chatham on the map as a national tourist destination. It’s a really great read! And Debra is working on the sequel and says it’s going well. Personally, I can’t wait! I am fortunate that Debra is also a character in Summer And August, A LaRosa Chronicles Murder Mystery set in Chatham. 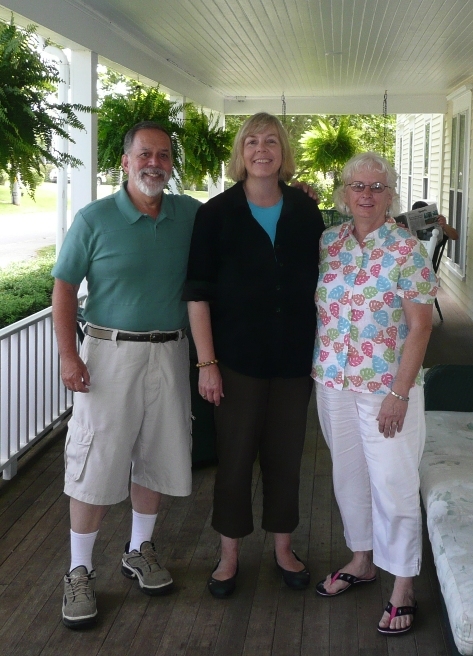 Here I am with Debra and Sal, on the porch of The Cranberry Inn, in Chatham. The Cranberry Inn is also a setting in Summer And August. When you read my previous Blog, LaRosa Chronicles, Connecting the Stories: Connection 1, Dated: 10/29/09, you learned that Father Sandro’s Money and Time Has A Way are loosely connected through Emma LaRosa. Emma and Julie are the main characters in Time Has A Way. Then when you read the Blog, LaRosa Chronicles, Connecting the Stories – Connection 2 – Yesterday, Tommy Gray Drowned , Dated 11/03/09, you learned in Yesterday, Tommy Gray Drowned that Elizabeth, who is the main character is Julie’s mother. So when you read the Blog, LaRosa Chronicles, Connecting the Stories – Connection 3 , Dated: 11/30/09, you found out that in The next book in the LaRosa Chronicles is Candy-colored Clown, the main characters are Julie and her husband Ken Waters. Then recently you read my previous Blog, LaRosa Chronicles, Connecting the Stories – Connection 4 , Dated: 12/10/09, where youi learned that in the fifth book of the LaRosa Chronicles, Spiderling , a Suspense/Thriller, set in the White Mountains of New Hampshire. Ken & Julie’s fifteen year old daughter is the main character, who goes off to an ecology camp and ends up as a Spiderling . In Spiderling Ken & Julie’s fifteen year old daughter, Katrina meets Chas. As we start to read PISCATAGUA Katrina and Chas are best friends, but Chas wants to be more than best friends. As much as convincing Katrina, Chas needs to believe in himself. Meanwhile, more evil looms in the aftermath of Granite Mountain and it takes aim at Katrina and Chas. The seventh book in the LaRosa Chronicles is set in Chatham, MA, in Old Cape Cod. Summer And August is a Cape Cod Murder Mystery. Doctor Curt Shirlington has left his position in the CDC to settle down in a quiet family practice in Chatham. Unanticipated was the illness that required the Medical Examiner / Coroner to step down and have Curt be asked to temporarily fill in. So goes Curt’s quiet when a murder victim is found in a dumpster in town. Curt has played a minor role in Time Has A Way and then again in Candy-colored Clown. He played an important role in Spiderling and again in PISCATAGUA, so he is a familiar character to most of my readers. In Summer And August Doctor Curt Shirlington teams up with someone introduced with an alias in Spiderling and who plays a role with his true identity in PISCATAGUA, now with the title Special Agent Robert Pomoroy. That’s enough to get you going to the hyperlinked text and get you to read the first Chapter of Summer And August. Most recently you read my previous Blog, LaRosa Chronicles, Connecting the Stories – Connection 4 , Dated: 12/10/09, where youi learned that in the fifth book of the LaRosa Chronicles, Spiderling , a Suspense/Thriller, set in the White Mountains of New Hampshire. Ken & Julie’s fifteen year old daughter is the main character, who goes off to an ecology camp and ends up as a Spiderling . The next connection weaves through a few books. In the next Connecting the Stories we’ll look at several characters who will be in Chatham, MA, in Old Cape Cod, living (or dying) through Summer And August . Click on any of the Hyperlinked text to see more about each story. 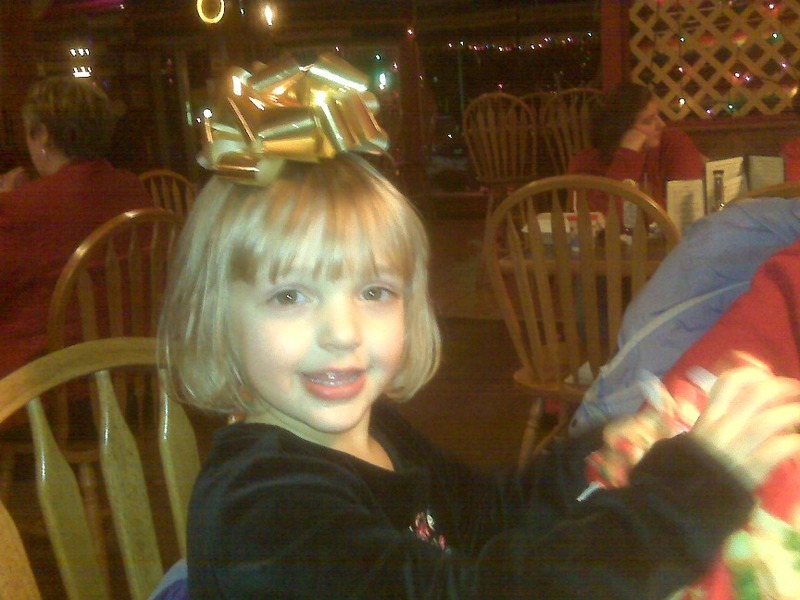 Our Final Event for 2009 was Saturday December 12, at an Event Raising Funds for the Manchester Policemen’s Wives Scholarship Board, and it was Greatly Supported! This event, sponsored by the Manchester Policemen’s Wives Scholarship Board, raised funds from rentals, raffles and food sales that will be utilized for post High School education scholarships for the sons and daughters of Manchester, NH Police Officers. Everyone who participated in this event, the volunteers, artists & craftsmen, and all of the friends, families and community members who came out to shop, deserves a warm and sincere thanks for a wonderful showing! Many thanks to Susan and Steve, David, Don, Diane, Jeanne, Nicole, Fran, Nancy, Deborah, Sandra (who brought many friends to our table), and the many others who purchased LaRosa Chronicles books for themselves and as gifts! Our special thanks to Cynthia for her coordination of this bodacious event. This certainly was a fabulous way to end our best year ever. We saw some old friends, made many new friends, and truly enjoyed the day. We plan to utilize our time enjoying friends and family during the holiday season. And continuing to prepare Summer And August for release in May 2010. I’ll end today with just a couple of special pictures from yesterday’s event. 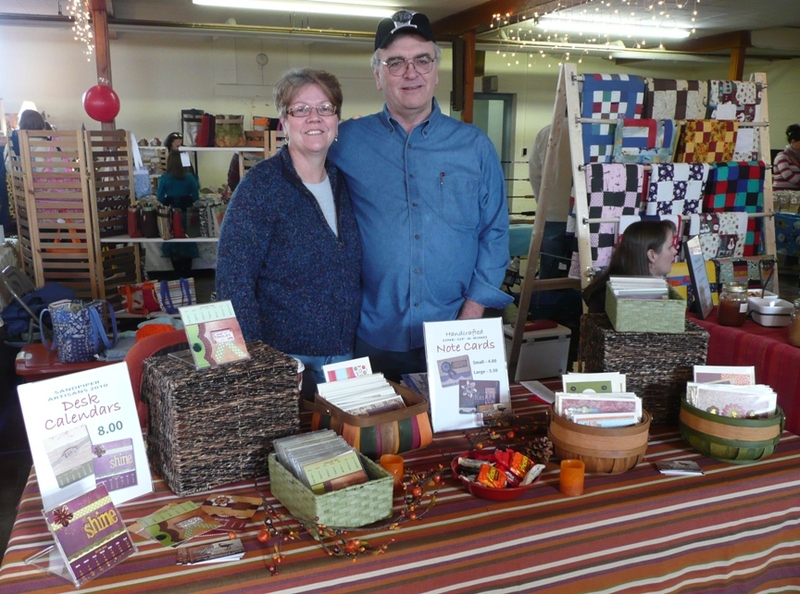 Here are new friends and readers Susan and Steve Englert (12/12/09) They were across from our table representing Sandpiper Artisans. Susan makes beautiful handcrafted cards and other graphic design and photographic works. Here is Sal with Bill Lorden (12/12/09) Bill is a very good friend we met earlier this year and an excellent wood craftsman. 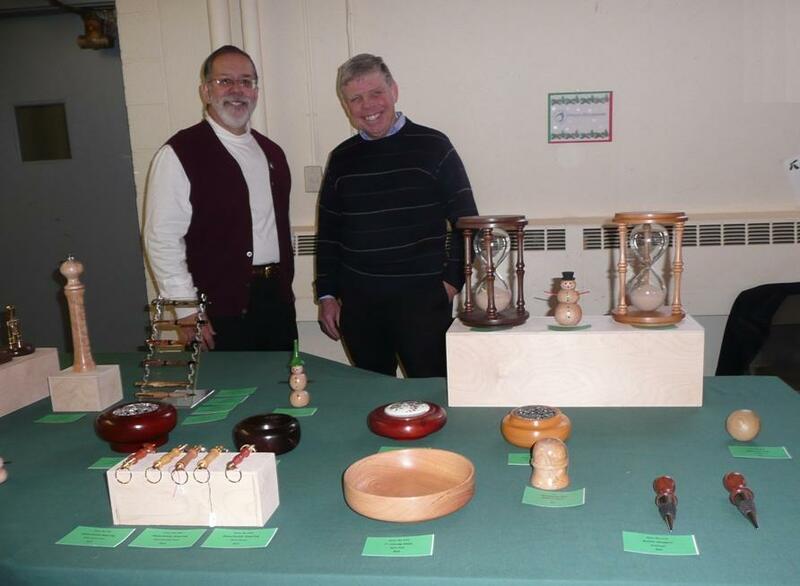 He does magnificent woodworking and woodturning, and takes custom requests. Saturday December 12, 2009 is Our Final Event for 2009. We are in Manchester, NH at an Event Raising Funds for the Manchester Policemen’s Wives Scholarship Board. This Saturday, 12/12/09, we are participating at a Holiday Craft Fair, located at Our Lady of the Cedars Church, on the corner of Calef Road and Mitchell Street in Manchester, NH from 9:00am to 3:00pm. This event is sponsored by the Manchester Policemen’s Wives Scholarship Board. 100% of all funds raised from rentals, raffles and food sales will be utilized for post High School education scholarships for the sons and daughters of Manchester, NH Police Officers. This is a great way for us to end our best year ever and we hope to have a great turn-out for this venue. There have been so many other things to talk about I haven’t provided an update on the progress of Summer & August in a while. Lisa, of www.BookInk.com, Editor-in-Chief and dear friend, has completed her review and edits, and as usual has provided valuable recommendations and insight. I am in process of implementing her recommendations. When this stage is complete we will have a Final Manuscript. But, my final-final process of ensuring satisfaction with the manuscript is narrating the Audio Book. As I listen to the story I sometimes (always) make changes in every Chapter! (more like every page) It’s a nice final check for me. I will most likely record a chapter four or five days per week. And subsequently make any changes in the Manuscript. That will put us into early February for being ready for publication. Making print and CD copies of Summer & August on schedule for May 2010 release. And when you read the Blog, LaRosa Chronicles, Connecting the Stories – Connection 2 – Yesterday, Tommy Gray Drowned , Dated 11/03/09, you learned in Yesterday, Tommy Gray Drowned that Elizabeth, who is the main character is Julie’s mother. And when you read the Blog, LaRosa Chronicles, Connecting the Stories – Connection 3 , Dated: 11/30/09, you found out that in The next book in the LaRosa Chronicles is Candy-colored Clown, the main characters are Julie and her husband Ken Waters. We’re now up to the fifth book of the LaRosa Chronicles, Spiderling , a Suspense/Thriller, set in the White Mountains of New Hampshire. Ken & Julie’s fifteen year old daughter is the main character in Spiderling . That’s the 4th connection. Sal’s 21 mile commute, that normally takes 30 minutes, took 1 hour 45 minutes, due to the storm that came through Wednesday morning. Do you have any “storm stories” you would like to share? Fun Stuff about K Spirito – Chapter 16 – Subtitle: Happy 40th Birthday to Mich! 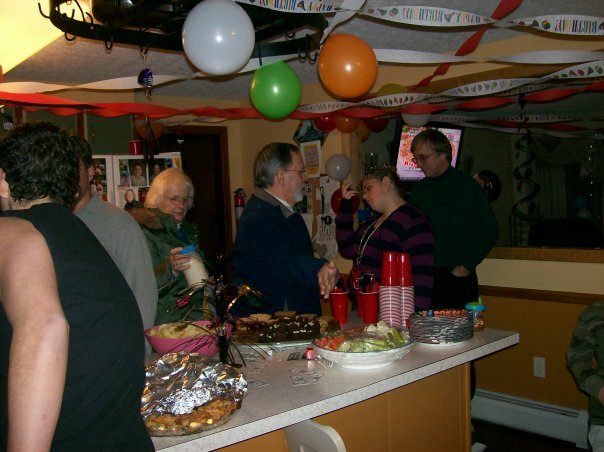 Saturday night, December 5th, we celebrated the 40th birthday of our son-in-law, Mich. His birthday is actually today. Happy Birthday Mich! Our daughter, Cynthia, held the Halloween Party I mentioned in October. Followed a week later with a sweet-sixteen party for Rhianna Marie. Followed two weeks later with an party for eleven year old Dominic. Followed two weeks later by Mich’s 40th Birthday. Too much party in one house! 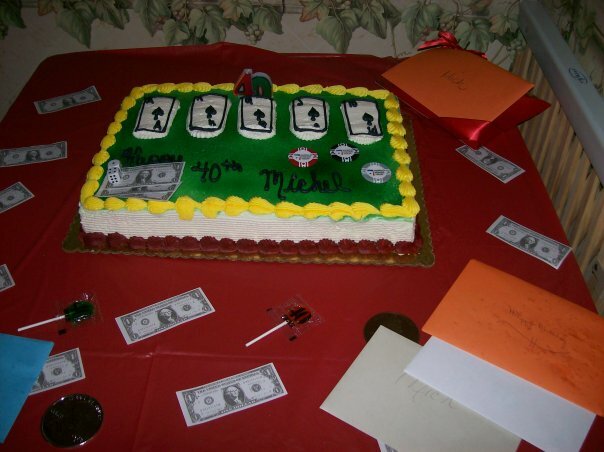 Mich’s Birthday theme was a casino night and we had a great time. See some of the pictures below. Our family still has more birthday’s this month! Saturday December 12, 2009 will be the Last Event for 2009. We will be in Manchester, NH at an Event Raising Funds for the Manchester Policemen’s Wives Scholarship Board. This coming Saturday we will be at a Holiday Craft Fair, located at Our Lady of the Cedars Church, on the corner of Calef Road and Mitchell Street in Manchester, NH from 9:00am to 3:00pm. This is a great way for us to end our best year ever and we hope to continue to get a great turn-out at this venue. 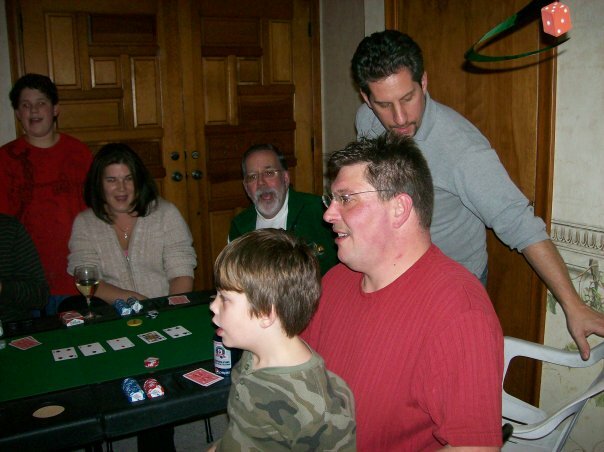 Saturday, after the Milford, NH Event we were at our son-in-law’s casino-themed birthday party. His birthday is actually December 9 and we will post a picture of the party that day!